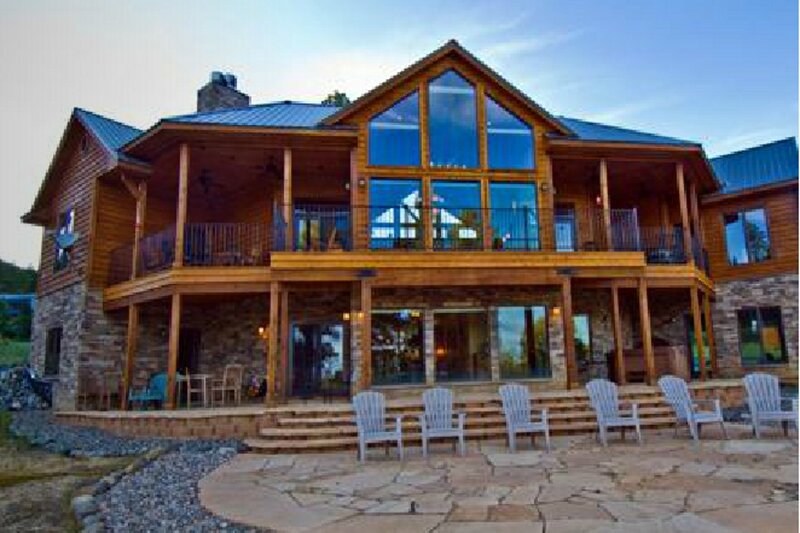 Imagine yourself in an area of Southwestern Colorado whose endless beauty allows you to feel the true meaning of a vacation. A place that is surrounded by over three million acres of wilderness and national forest. Then imagine having as your "home away from home" while you experience this vast wilderness, a gorgeous new 4,600 square foot luxury home. All baths (4 1/2) have travertine counters and floors and have luxury towels . While enjoying the amenities of Dancing Bear Retreat you might want to also enjoy the many activities that Pagosa Springs has to offer: River Rafting, Boating, Biking (mountain and extreme), Fishing in one of the many lakes or rivers (great trout), Hiking one of the many trails, Skiing, Snowboarding, Snowshoeing, Snowmobiling or Cross-Country Skiing on one of the many groomed trails, or just relax in our famous Hot Springs or enjoy the beautiful surrounding mountains and wildlife. For more information, visit our website www.dancingbearretreat.net.